INCREASED guarantees, extended Grab-A-Friend promo & great prizes up for grabs when you “Upgrade Your Journey” with GrabCar! 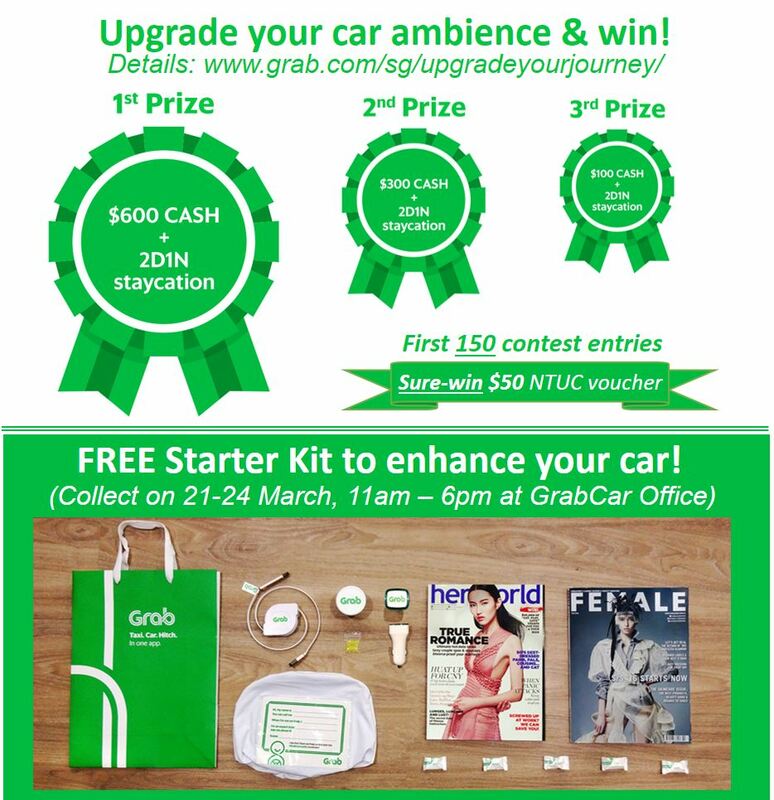 Would you like to make every GrabCar ride an enjoyable experience… and win great prizes at the same time? To find out more about this irresistible offer, visit www.grab.com/sg/upgradeyourjourney/ NOW! Your Grab-A-Friend incentives has been Extended! We have extended the best ever refer-a-friend incentives! 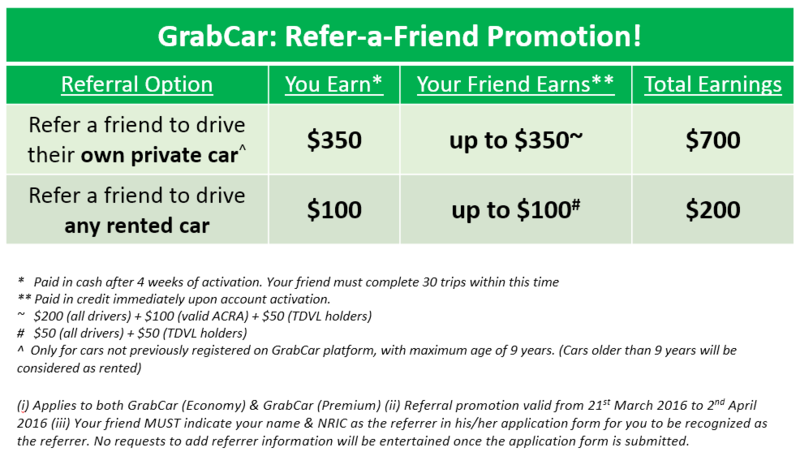 Earn up to $350 for each friend you refer to drive with GrabCar! Your friend also earns up to $350! Promotion ends 02 April! Don’t miss out! 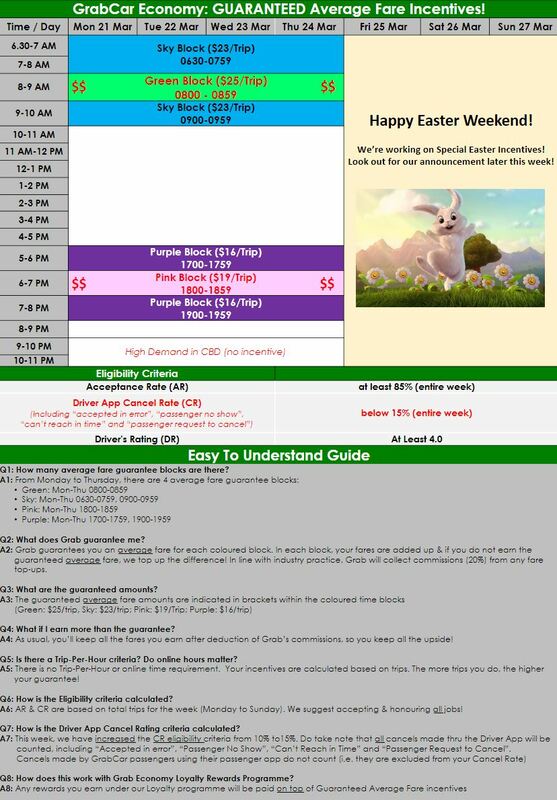 HIGHER Fare Guarantees this week! This week, your fare guarantees are INCREASED! You’re guaranteed up to $25 PER TRIP on weekday mornings and up to $19 PER TRIP on weekday evenings! We’ve also removed the minimum trip criteria and increased your cancel rate eligibility to 15% (this includes all cancels made via the driver app)! We’re also working on Special Incentives for the Easter Weekend – look out for our next announcement! 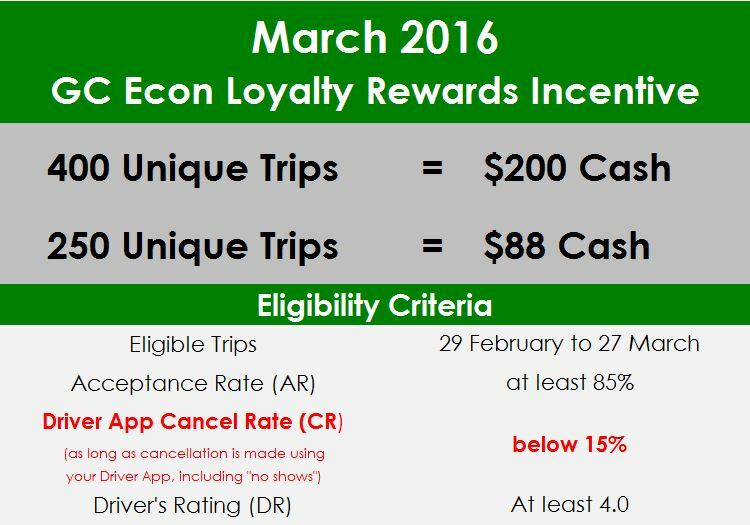 Earn even MORE in March with GrabCar Economy!